If you’re shopping around for the best painting contractor in your area, then you may be overwhelmed with choices. After all, it’s easy for amateurs to pawn themselves off as professional painters. However, no two painting companies are the same, and there are easy ways to weed out the pros from those who are just hacking it. If you live here in the Winnipeg area, we’re here to convince you that there’s only one obvious choice — Integrity Painting. We have all of the traits that you should look for. We have the experience necessary to perform your paint job perfectly. We have the tools necessary to complete your job efficiently. We’re backed by a litany of rave reviews and excellent testimonials from our previous clients. We’re a local company — based right here in Winnipeg. We offer a litany of additional services on top of our interior and exterior painting services, so you can knock out all of your projects at once. And finally, we’re licensed and insured, which means that we’re truly professional and above board about our work. If that’s a convincing enough reputation, you can find out for yourself why folks count on us for their painting services, simply get started with a free estimate for your upcoming paint job. If you’re still not convinced, feel free to reach out to us with any questions you may have, or read on to learn about a few of the qualifications that we’re proud to provide. Integrity Painting was founded in the fall of 1992 by Ronald Klassen, which means that we’ve been in business for well over two decades. We’ve proudly been serving folks throughout the Winnipeg area for years on end, and we’ve always taken pride in earning our projects through word of mouth. That experience also lends itself to our growing skill in the business. Our team knows all the tricks of the trade to ensure that your paint job is pristine. If you aren’t satisfied with our work, we’ll make it right. Beyond our experience, we also have all of the tools necessary to make quick work of any job we come up against. Whether you need us to paint your three-story home, or you need us to paint delicate accents on the trim of the interior of your house, you can rest assured that we have the proper tools to perform the job to an incredibly high standard. Our toolkit also ensures that we have a faster turnaround time than other painting contractors out there, so you can get back to enjoying your home without much bother. Our reviews and testimonials say it all. We’re proud members of the BBB, and if you’ll take a quick look at Yelp or Google, you’ll notice that our reviews are overwhelmingly positive. And those reviews reflect the core of our vision. Our founder once described the idea behind the Integrity Painting name: “I thought of words like, honesty, uprightness, and wholeness when I picked the name Integrity for my business. The origins of the word come from the French and Latin meaning of intact, integrate, integral, and entirety. To me it means that my company is working well, undivided, integrated, intact, uncorrupted, upfront, and transparent.” We strive to stand by that slogan in all of our work. If you’re looking for a painting company, why not go local? As we mentioned, we’re based right here in Winnipeg, which means that we can make it from our shop to your front door more quickly. Beyond that, we’re proud to support our neighbors and our community, and we look forward to continuing our service to the city of Winnipeg. Again, we’ve been serving folks throughout the Winnipeg area for nearly three decades, and we’re ecstatic to continually provide service for our clients, both current and future. While you’re updating the look of your home, you might as well go all out. 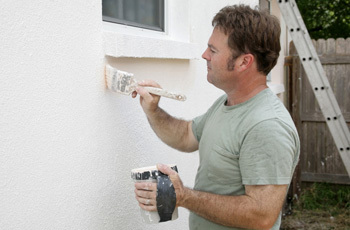 You can count on Integrity Painting to provide both interior and exterior home painting — services that aren’t often paired together by painting contractors. In addition, we provide a litany of services to compliment our paint jobs, including everything from deck painting to power washing. We also provide brick staining and sealing services, window and door painting services, caulking, concrete coating services, texturing, cabinetry work, and more! Learn more about some of our additional services! We strive to provide affordable pricing for our services. We’ve always maintained a competitive price point for our clients, and we’d be happy to provide you with a free estimate for your project, so you can shop around for the best price. Plus, if you pair all of our painting and additional services together, we’d be happy to provide you with a discount. We understand that these projects can get expensive, and we’ll work with you to ensure that your dreams meet your budget. We’re properly licensed and insured, making us true professionals in the business. Plus, you can rest assured that if something should happen while we’re on your property, you won’t have to pay any out of pocket expense. In addition, we’re members of the Worker’s Compensation Board of Manitoba (WCBM), the Winnipeg Chamber of Commerce, and the Prospectors & Developers Association of Canada. We’re a trusted part of this community. 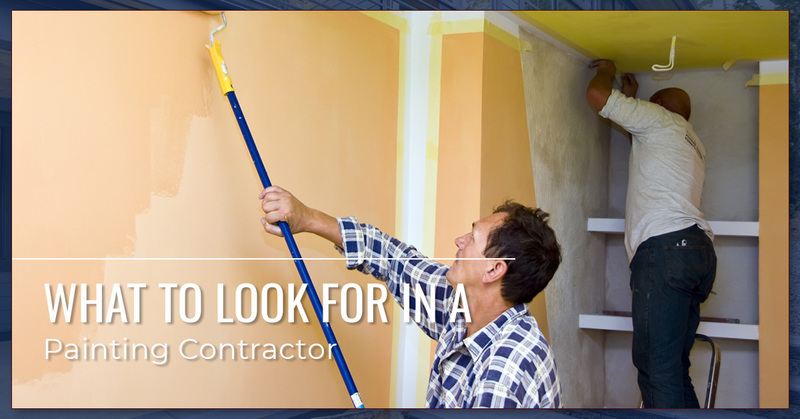 Discover what sets us apart from other painting contractors for yourself. Get started today with a free estimate for your project. And, if you have any questions about our services, just reach out to us for help! Again, we provide both interior and exterior painting services for folks throughout Winnipeg.